With the success of the restaurant venue confirmed, developers are betting some of those same folks who dine there will want to live at Trinity Groves, work in an office and stay in hotel rooms with a postcard view of the nearby skyline. 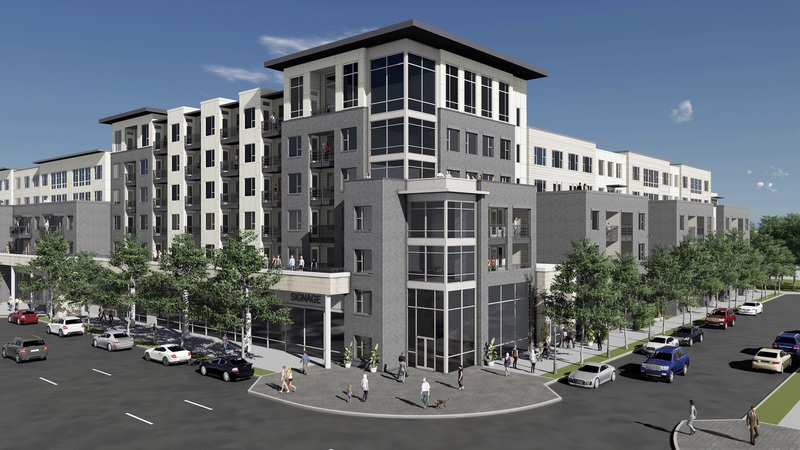 Developer Columbus Realty is building a 349-unit apartment and retail building just across the street from the Trinity Groves restaurant park. Last edited by Thymant on 04 Jan 2017 20:14, edited 1 time in total. Toll Brothers is planning to build on a roughly 4-acre site west of downtown at the northeast corner of West Commerce and Pittman Street. The property is now occupied by an large commercial building. It's just to the west of where another builder - Alliance Residential - is constructing more than 300 apartments. Toll Brothers' spokesman John Piedrahita confirms his firm is working on the deal. "At this time, it is slated to be approximately 280 units," he said in an email. I hope this neighborhood comes together. 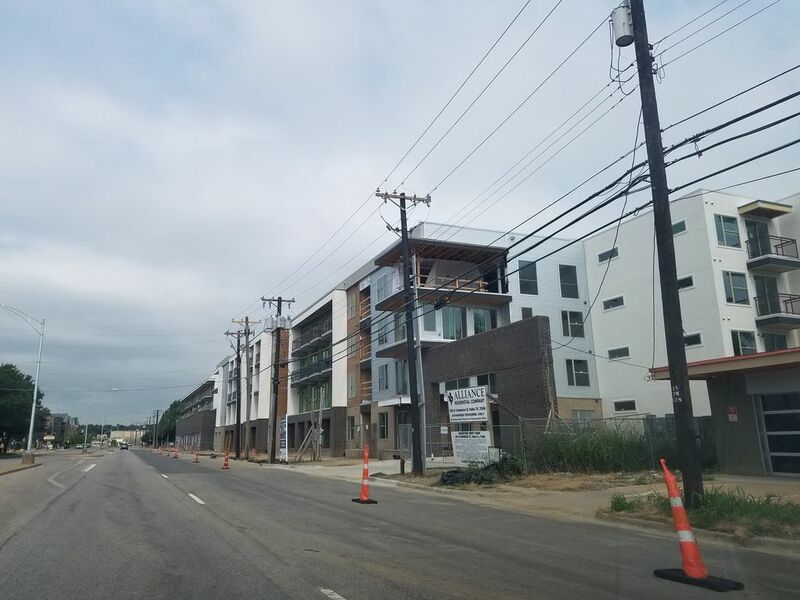 The new apartments are terrific, but with the exception of Trinity Groves and Sylvan 30, everything else about this neighborhood looks like a war zone. I wonder if the residential demand is strong enough to overcome the negatives. I saw that The Austin is offering a month of free rent. I haven't seen that in Dallas for a while. Great to hear. Quick question - what started the little burst of density at that intersection (Pittman and W Commerce). Was it just Chicken Scratch/The Foundry? It seems like there is a little pocket neighborhood of apartments that has blossomed around that storefront. Is there something else that I'm missing, or is it just a coincidence? homeworld1031tx wrote: Great to hear. Quick question - what started the little burst of density at that intersection (Pittman and W Commerce). Was it just Chicken Scratch/The Foundry? It seems like there is a little pocket neighborhood of apartments that has blossomed around that storefront. Is there something else that I'm missing, or is it just a coincidence? Based on my reading its a combination of things and to be honest things that seem sudden usually are. Tipping Point is a good read on that one. Demand is high in Dallas. Large plots of land are available for cheap here compared to most areas where many lots have to be negotiated bought and assembled. It's close to Uptown & Downtown. Access across the river has improved. Access to amenities and services has improved. Other new investors have bought large plots signaling a trend. Also, City did a lot of rezoning to make some of these developments sail through the city approval process without having to beg for density etc. Notice many of these developments didn't need to argue with the city in public about the future of the area blah blah blah. As long as you fit within current guidelines some of these developments can be rubber stamped. It's very much an "If you build it they will come situation." None of the other emerging alternatives to Uptown are so isolated and devoid of amenities or retail-- not DD, DE, Ross or Henderson-Fitzhugh. And it's very much an island bounded by the tracks and I-30 with no outlet between Beckley and Sylvan. Maybe there is an untold story here, that it's not all millennial Uptown wannabes. Maybe there is also demand coming from the West Dallas neighborhood for new and decent housing. willyk wrote: It's very much an "If you build it they will come situation." None of the other emerging alternatives to Uptown are so isolated and devoid of amenities or retail-- not DD, DE, Ross or Henderson-Fitzhugh. And it's very much an island bounded by the tracks and I-30 with no outlet between Beckley and Sylvan. Remember West Dallas is right across the bridge from downtown, uptown and the design district. It is easier to get to these areas from West Dallas than what it is from some portions of Oak Lawn. 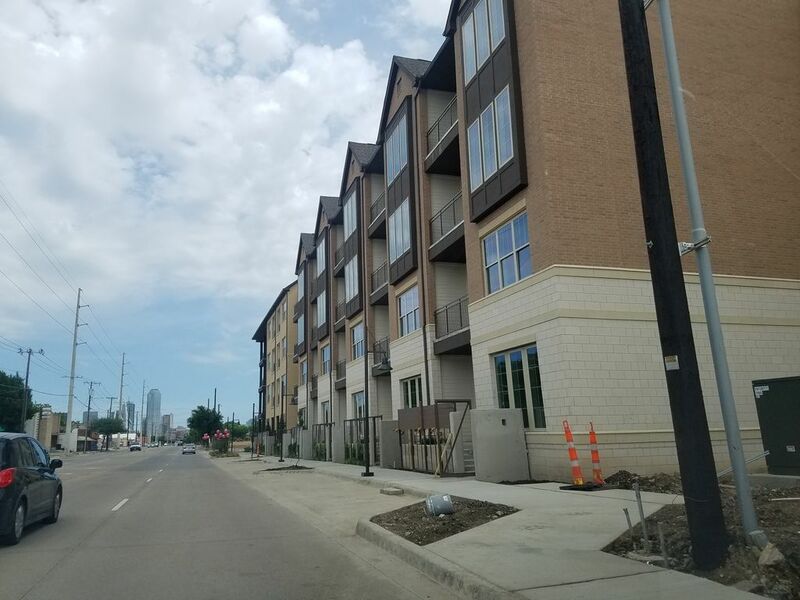 Most of the development that is currently occurring in West Dallas is located within a short distance of one of the connecting bridges so anything that serves as an amenity for Uptown, Downtown, and Design District also serves as an amenity to West Dallas. Also don't forget that Bishop Arts is immediately south as well. I think the proximity to Downtown is often overlooked as a factor. I regularly take just about every connection between the west and the east levee and, as nice as the Sylvan Bridge, Continental Bridge, MHH and Houston Bridge connections are, the West Commerce Bridge feels different. From the west side where all these apartments are going up, downtown and even Deep Ellum look very accessible. Perception is everything. There's also the in-flight West Dallas Gateway project (aka "Three Hole Punch") to extend Amonette, Herbert, and Bataan under the tracks to connect to Main St. I'd still say it's the least desirable location of any of the areas getting a significant number of new units. If these projects end up performing well despite the upcoming wave of completions, this real estate boom still has plenty to go. tanzoak wrote: I'd still say it's the least desirable location of any of the areas getting a significant number of new units. If these projects end up performing well despite the upcoming wave of completions, this real estate boom still has plenty to go. Are you referring to this area being "least desirable" due to most of the area being low income? Because if so there are many less attractive areas with huge development potential. From a topographic standpoint this area is beautiful with mature trees and subtle hills, from a convenience standpoint it is across the bridge from many Central Dallas neighborhoods, and from a crime standpoint it is relatively low in this area. So in short I couldn't disagree more, you should try spending time exploring this area and see that it is a really unique and that it should be getting a lot more attention than it has in the past. If you think about it... Unlike Oak Cliff, Uptown and all the other mature Neighborhoods in our fair city...West Dallas is esentially a blank canvas. It truly has the potential to be a dynamic urban Neighborhood,with all the amenities we all desire... Improving the transit in the area needs to be considered at some point though... However, everything else is there..Raw bones..Which is why I find it exciting and more promising than even the Design District and the Cedars. The topography is beautiful as well...And the views may be the best we have in town. As for the low income people in the area... Get used to it. Going forward the city will focus on building mixed income Neighborhoods. Which is in fact best practice and ensures that residents of all types and income can enjoy/live in the area. A city full of Neighborhoods with a Turtle Creek vibes isn't exactly great either.. I hope some affordable units are built in West Dallas .. I would like to see a DART rail extension with trolley lines added to West Dallas. It would be even better if we get a DART subway extension out that way. What I am concerned about is that this stretch of commerce will be like Ross where there is a good amount of units but not character coming. I don't mean in architecture either. It you look at what came down Mckinney Avenue as that stretch developed I think there was a nice culture and character developed that is walk-able except for the narrow sidewalks. There is foot traffic there just not the infrastructure to handle it. Its the whole reason that area is so popular now for bars, retail and other types of re-development. When I look at this stuff though it still seems like a bunch of long stretches of apartments without retail or street activation of any other kind. Not every street needs to be a lively bar hop for sure that's not what I mean. I just wonder about what walking down this stretch of Commerce will feel like once this round of development slows down. Will it still be a car drive to anything you want to be at or will it be a reactivated street culture of a neighborhood? Like I said, I hope this works. What we really need now is someone like 42 or Westdale to mop up the empty buildings and redevelop them like they did in DE. Plan B would be to have Singleton follow the Ross example. CVS announced a project a while back. Sigleton can easily support a 7-11, Canes, motor bank, etc. just with the existing neighborhood and the traffic coming over the bridge, even before the new places open. But right now, if you rent on W Commerce and walk out your door, it's urban wasteland. Thymant wrote: Are you referring to this area being "least desirable" due to most of the area being low income? Because if so there are many less attractive areas with huge development potential. From a topographic standpoint this area is beautiful with mature trees and subtle hills, from a convenience standpoint it is across the bridge from many Central Dallas neighborhoods, and from a crime standpoint it is relatively low in this area. So in short I couldn't disagree more, you should try spending time exploring this area and see that it is a really unique and that it should be getting a lot more attention than it has in the past. I mean "least desirable" in a positive rather than normative sense. In that if an identical townhouse or apartment unit was being offered in West Dallas, Bishop Arts, Henderson, and Ross, I'd bet the one in West Dallas would sell/rent for the lowest amount. It may well be a totally underappreciated and awesome area, but my sense is that the market demand for it is currently lower than those other areas. I moved here in 2013 and that whole area on the other side of the bridge is already essentially unrecognizable. I think it is only now hitting its stride and will be even more unrecognizable in a few more years and in a good way. Im sorry but These are ugly. We will just call this area West Uptown soon. Tnexster wrote: We will just call this area West Uptown soon. Another Uptown would be tremendously positive for the city of Dallas. ^If developed appropriately it would be but I am not sure I see that. What I see is Uptown like developments pushing out low-income residents in favor of those that have the means. Despite HUD non-compliance findings, the affordable housing crisis in West Dallas, the enrollment losses at Dallas ISD, and recent research showing that Dallas is a bad place to grow up poor, we still don't have a comprehensive approach to mixed-income housing. A comprehensive approach requires two things simultaneously: policy and resources. Policy without resources lacks teeth; resources without policy represent incoherent spending. Tnexster wrote: ^If developed appropriately it would be but I am not sure I see that. What I see is Uptown like developments pushing out low-income residents in favor of those that have the means. Well tbh, "uptown" basically kicked out the poor before it was uptown; as there were neighborhoods there in the past. Same will happen to Trinity Groves /West Dallas. Now regarding gentrification, This is happening all over America​. The reality is that these people eventually would've been priced out either by increasing rent or taxes. Cities often dream of mixed income neighborhoods but often go about it the wrong way or when it's too late. What I don't see is Dallas allowing affordable housing in established neighborhoods. If mixed income neighborhoods is the goal , then it would be a hell of a lot easier creating mixed income neighborhoods when you allow building /affordable housing in established neighborhoods. Lakewood, Lake Highlands, Preston Hollow etc are the established neighborhoods were the affordable housing is needed. As you mention, What Dallas needs is a plan. A plan that increases Density in these established neighborhoods while allowing SOME affordable units into the area. Dallas does it backwards. They kick out the poor; tell them to find housing and then panic when they realize they haven't done squat to promote the building of affordable housing. I recently got back from Manhattan and was impressed at how affordable units were being integrated in some of the priciest developments in SoHo/ Chelsea along the high line. It can be done. 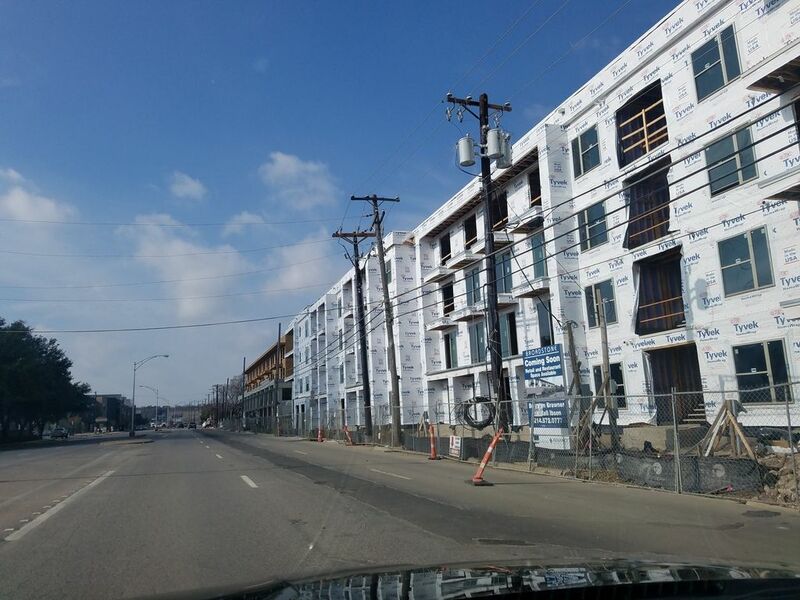 I think neighborhoods are more willing to allow affordable housing when you package them into quality developments. That's the key. Also David Weekly builds some pricey townhomes. I've seen some NICE townhomes in Philly and even DC, true urban neighborhoods, around the 200K-300K range. I never understood why these 1200 sq. ft townhomes in Dallas were listed at 500k & up. But hey if the market is buying them up at that price ... I can't blame the guy. But honestly, if Dallas wants to attract more middle class families.. then they need to do something about affordability of some the newer single family units that are being built. Does anyone know what's going on with the old Atlas Metal Works property at the southwest corner of Sylvan and Singleton? The rest of the block facing Singleton has been cleared but Atlas remains. What gives? Is the land owned by someone not willing to sell? Most of all the property in West Dallas is contaminated by lead so I doubt this property is any special case. Last I heard the property was just being readied for a possible redevelopment. The original Atlas Metal Buiding would be incorporated into the building they will build around it. I believe it will become the leasing center for an apartment project. That's amazing looks like the sidewalk is being cleaned up. Stonelake Capital Partners and apartment builder Wood Partners have broken ground on the 324-unit rental project in the 25-acre Trinity Green development on Singleton Boulevard just west of Sylvan Avenue. Curious to know what this park looks like in the Trinity Green development and whether it's more than just a tree-lined walkway amenity with some benches thrown in. Seems like the Alta phase will be oriented in that direction with units having direct access to the green space. West Dallas may have the best access to the Trinity River park, but it really does need more traditional neighborhood-level public spaces. Ugly as sin but impressed by the height. 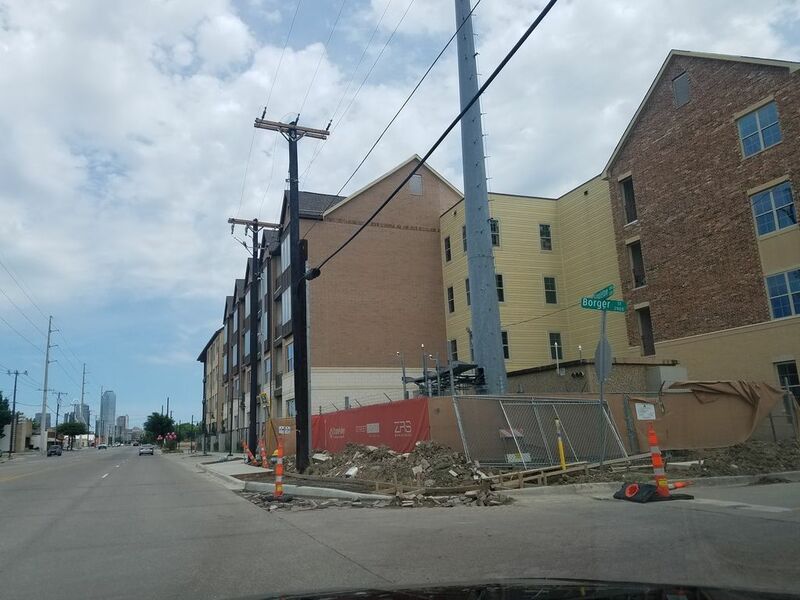 Toll Brothers has bought a roughly 4-acre development site west of downtown at the northeast corner of West Commerce and Pittman Street. 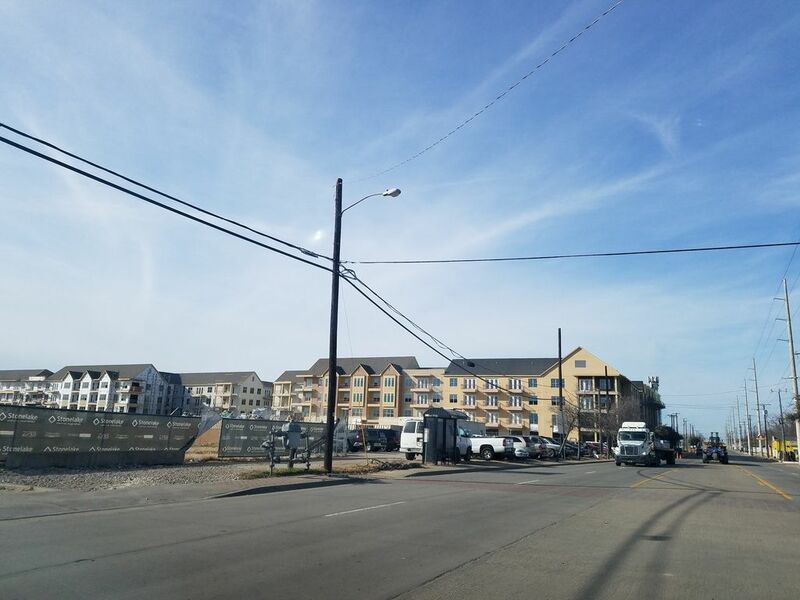 The Pennsylvania-based builder plans to construct a 7-story rental community with about 280 units on the site near Fort Worth Avenue. 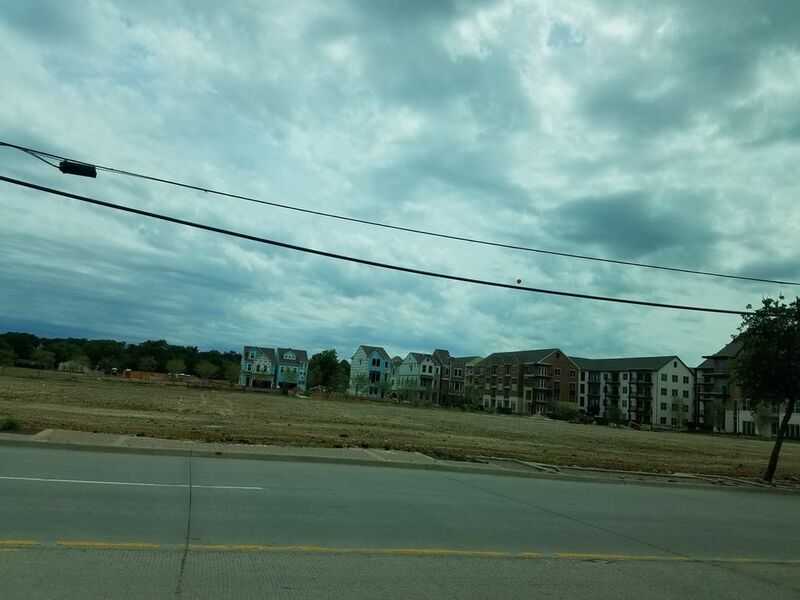 "The community will break ground in June 2018, with initial deliveries scheduled for winter of 2019," Toll Brothers John Piedrahita said. Nice to see this kind of height and scale on this side of commerce! Thymant wrote: Nice to see this kind of height and scale on this side of commerce! 70 du/acre.. not bad, not bad at all. As a point of comparison, Bleu Ceil has 85 du/acre. Obviously a very different kind of building for a different demographic, but getting this level of density in West Dallas is really nice. Not quite the M-Line Tower's 205 du/acre, but maybe someday soon! 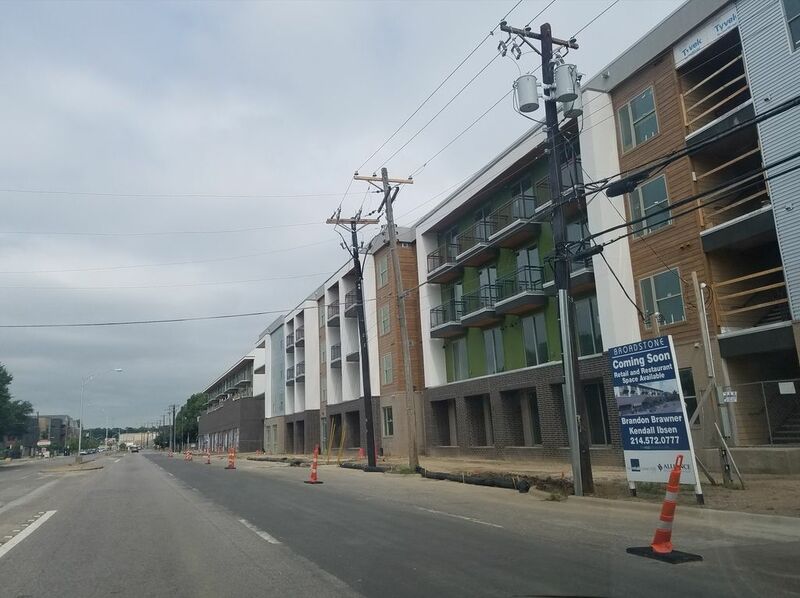 Developers who built a popular West Dallas mixed-use complex are eyeing another project. Oaxaca Interests said it plans to redevelop an old warehouse on Fort Worth Avenue into a dining and retail venue. The former W&B Refrigeration Service Co. industrial building and Fort Worth and Yorktown Street is next to Oaxaca's Sylvan|30 project. The developer said the old warehouse will be repurposed as a "pet-friendly, indoor-outdoor destination." Trying to get confirmation, but hearing that the Carver/Rosales theater at 1846 Singleton Blvd was recently demolished. Not the least bit surprised considering the condition it's been in, but nobody has reported the fact that HMK has been assembling the block for development for several years. The last of the properties, including this one, were acquired last year. According to cinematreasures.org: "The Carver Theater is listed as operating in the 1950 edition of Film Daily Yearbook and possibly opened in the late 1940s. It was still operating as an African-American theatre in 1955. It was later renamed Rosales Theater." A new entertainment venue called Nowhere, TX is opening this Summer in West Dallas. Located on a former industrial site at the intersection of Commerce Street and Edgefield Streets (1216 W. Commerce), Nowhere, TX will feature pop-up events and a biergarten-style dining concept with rotating chefs/menus, produced by the same team behind the popular 48 Nights pop-up restaurant. He said the first phase of the SoHo Square project will have 229 homes — a combination of townhouses and single-family homes. The project ultimately could be worth more than $300 million. Prices for the townhouses will start near $250,000, and houses will start at about $370,000. "We are targeting renters in Uptown and downtown," Ipour said. "They can come to this project and own a home and the payments would be equal or less than they are paying in rent." Not a lot of new information about "Soho Square" here, but the interviews with long-time and new residents are interesting. 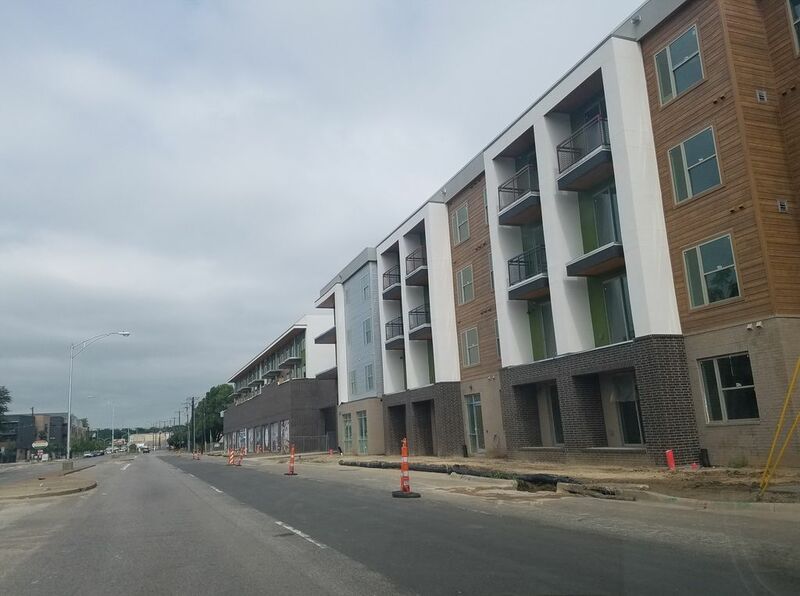 This was posted on the Fort Worth Ave Twitter account and it's one that I'm not sure was public, and bonus points for the aspirational use of "wants to be built". BDA178-101 is a Board of Adjustment request for setback variances for a mixed-use development that wants to be built at Beckley and West Commerce. Cypress West Commerce includes a pad for restaurant, retail, and a 4-story apartment structure. Contact Steve Long at (214) 670-4666. 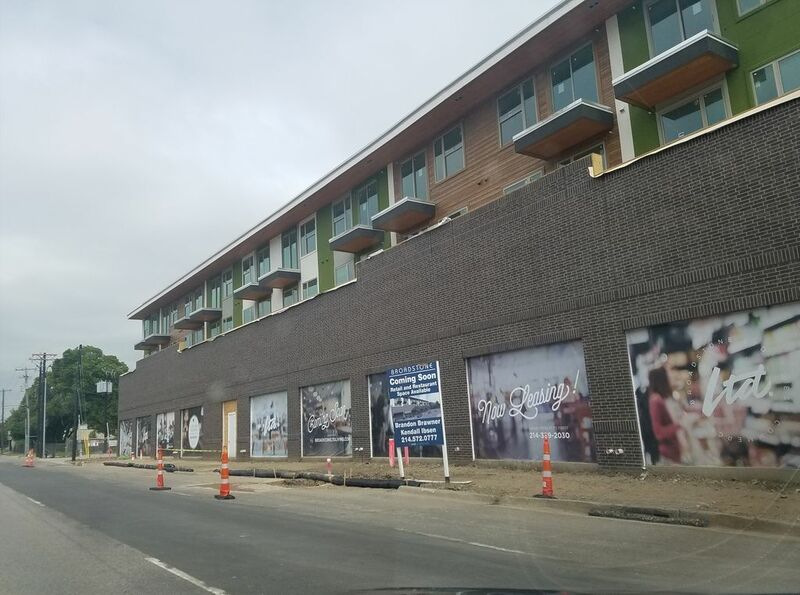 I was in the area yesterday...and anyone know what the large building going up is in the 2200 block of Fort Worth Avenue? 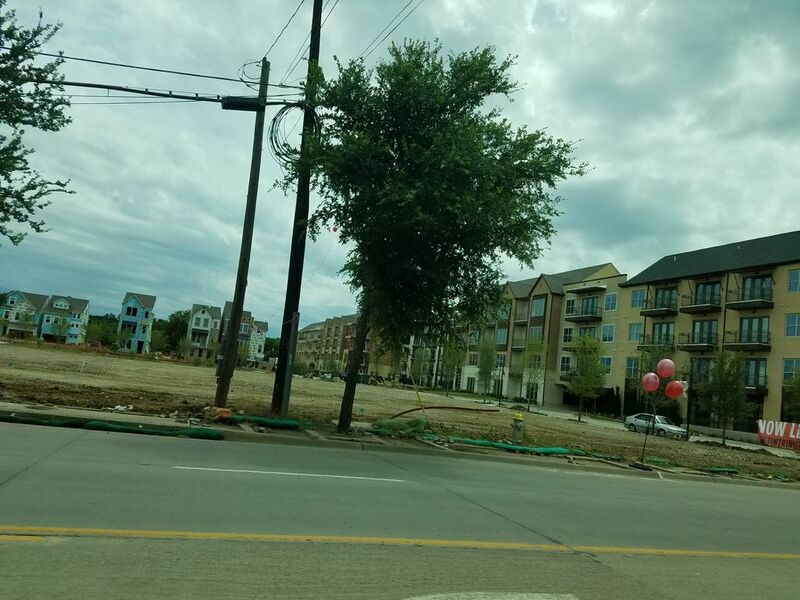 It's right next to that new shopping center and in front of those (horrible) new apartments just west of Hampton and Fort Worth Ave. At first glance, it looks like a grocery store, but it can't be..can it? 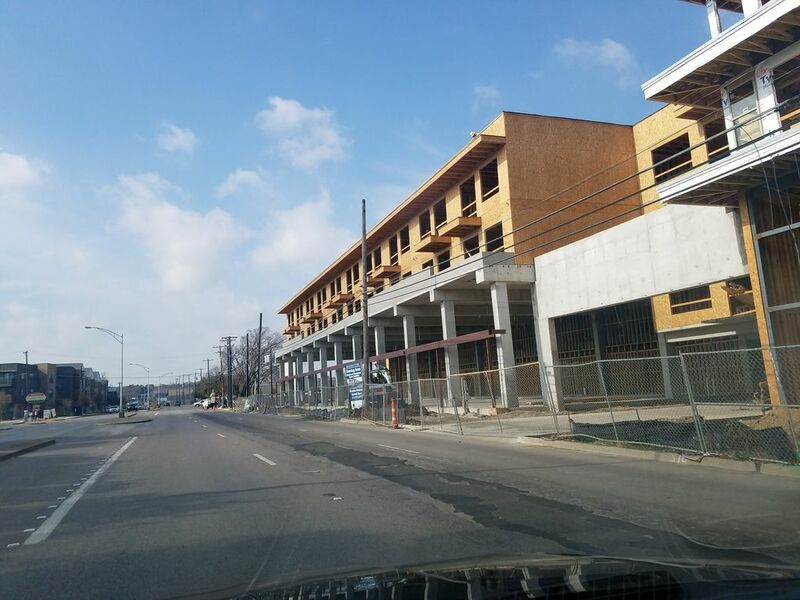 vman wrote: I was in the area yesterday...and anyone know what the large building going up is in the 2200 block of Fort Worth Avenue? 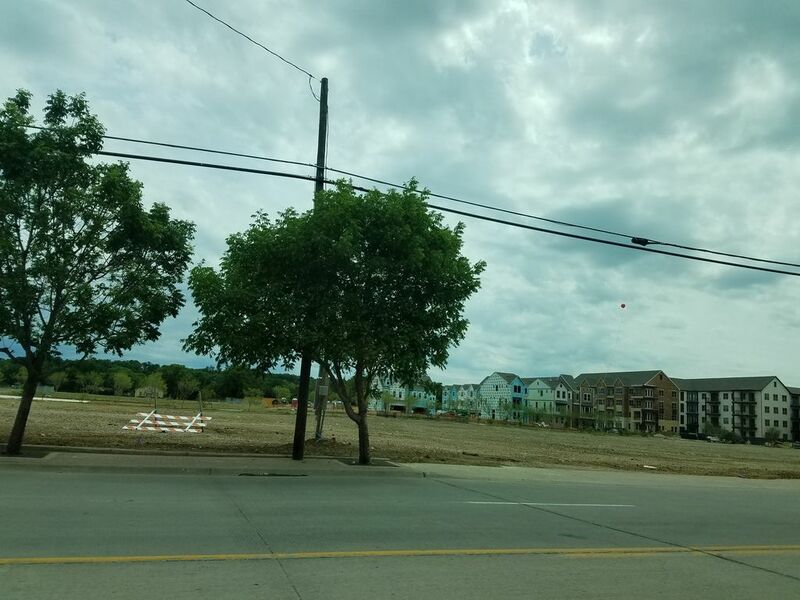 It's right next to that new shopping center and in front of those (horrible) new apartments just west of Hampton and Fort Worth Ave. At first glance, it looks like a grocery store, but it can't be..can it? Rumor on this one is that it'll be a 24-hr Fitness, but nothing has been announced. I would think that this far into the construction there would be a Coming Soon sign, but I guess we'll need to wait. Wynnewood already has a coming soon sign for LA Fitness and the movie theater. They really are grotesque looking abominations. Its hard to decipher if they are townhomes or apartments; Seriously what are they? "TownApartments" .. utterly disgusting. I know that some of the storefronts will be dental offices. I saw a small sign on one of them. Are you talking about Lincoln Kessler Park? Or something else (link?)? Nearby Residents rumored about a Target being opened there. But I heard that Target balked at the idea since the section 8 housing was nearby. Ive heard that Target despises the Cityplace location... But who knows. Maybe they found another big box retailer.